Just last year, some voices reported that the Sammarinese representative would be between Rodrigo Alves and Daryanna Karieva. Today, the decision has been revealed by Sammarinese broadcaster, SMRTV: Serhat will again represent San Marino at Eurovision Song Contest. He previously represented San Marino in 2016 with I Didn't Know, which finished 12th in Semi-final 1. Serhat has been picked internally. The song Serhat will sing at Eurovision Song Contest 2019 in Tel Aviv has not been selected yet. The song will be revealed at a later date. 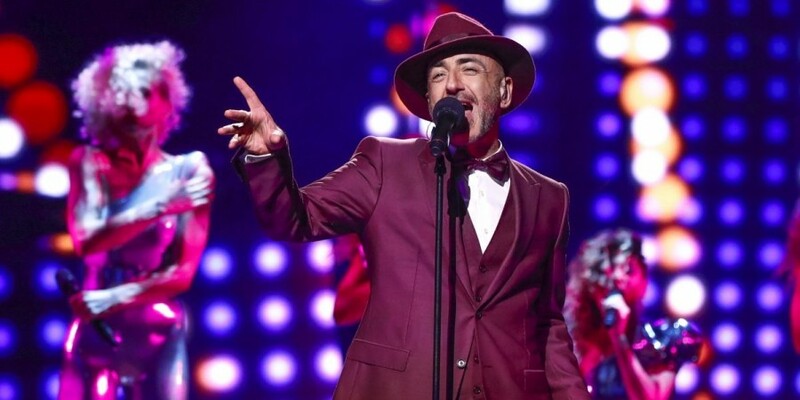 Related storySan Marino: Serhat's song for Eurovision 2019 released – "Say Na Na Na"
Serhat Hacıpaşalıoğlu (51) was born and raised in Istanbul, Turkey, and is a singer, producer and television presenter. He has been hosting several shows on Turkish TV in the 90s and 00s. It started with the quiz-show "Jeopardy!" ("Riziko!") on Turkish TRT back in 1994. His musical career started in 1997 where he released his first singles. Serhat has been working in both France, Germany and Greece, and in 2016 Serhat was revealed as the Sammarinese artist at Eurovision Song Contest 2016 with I Didn't Know, which finished 12th in Semi-final 1. – San Marino is always in my heart, our friendship lasts forever and ESC 2016 was probably one of the best memories of my career. Despite my tight schedule, it didn’t take me long to decide. I am very proud to represent San Marino for the second time. – When we started to plan the next edition of ESC, we realized that this participation will be our 10th entry. It is a "round" number, an important goal for us, and we thought that we should celebrate our anniversary in Israel, with someone special. We were always in touch with Serhat during the last two years and now after 2016, we are fully empowered and believe that Serhat being full of interesting ideas, is the right choice in the right moment. – The choice fell on Serhat because we believe in experience. Like Valentina Monetta, entry in 2012, 2013, 2014 and 2017, reached the final after two tries, SMRTV hopes it happens again with Serhat. The choice of the singer has been a hard work, lasted from June to Christmas. San Marino 2014: Valentina Monetta - "Maybe (Forse)"
San Marino is one of the newest – and smallest Eurovision countries. They have been participating nine times since their first Eurovision Song Contest in 2008. But not with great succes. In eight out of nine participations they didn't manage to qualify for the Grand Final. San Marino qualified for the Grand Final for the first – and only – time in 2014. The worst results were in 2017 and 2008, where they came last in their Semi-final. For the 2018 selection, SMRTV used the show "1 in 360", a national selection where singers and artists from any countries could take part. The show selected Jessika feat Jenifer Brening with Who We Are as the Sammarinese entry for 2018. But they did not bring San Marino in the Grand final of Eurovision.